I'm the first to say Congratulations!! Welcome to the finish line for Year 1! All the best for a great 2014 and Year 2! Congratulations! It is a huge achievement to have finished. Great photo too. wow .. many many congratulations my friend .. so happy for you .. what a great journey you have had ...and what a viewing experience you have provided us ... this is iconic image ... think Zebra ...I think you ... lol ... can't stop Faving this ...! Gorgeous capture. fav!. Congratulations..on completing 365. Congrats! Staying on, I hope? Brilliant!! Lisa. Well done you. Some inspiring and wonderful images. You have sailed through with flying colours. Happy New Year and many congratulations for arriving at the finish line!!! Congrats on 365 and Happy New Year! Love the cropping, patterns and Pov on this! Fav. Congrats on crossing the finish line! Just keep going into next year! All the best. Congratulations! Have so enjoyed your work...can I look forward to another year? glorious shot... love how you fill the frame with this beauty :) congrats on 365! Congratulations on completing your 365, Lisa. I'm really hoping you'll continue -- sure love your photos, Zebra girl! Congrats!! Fabulous shot! I love how you filled the frame!! Can't wait to see your 2nd year! Congrats on finishing your year. Love your zebra shots and this ones perfect too. All the best for 2014. Congratulations on finishing your 365 Lisa - a wonderful achievement and with such a brilliant final shot too!! Has to be a Fav!! Happy new year - hope to see you in 2014!! Wow great shot to finish the year with!! Congratulations on finishing the 365, Beautiful shot with great focus. Wonderful! Wonderful! Perfect! So many celebrating 100% today. Congrats to you and thanks for all your inspiration and friendship! Looking forward to more from you!! Happy Happy New Year!!!!! What a gorgeous shot to end the year with!! congrats and happy new year!! Congrats on your completing Year one! great achievement, indeed! Congrats on your finish and if you feel like going on after a while I am happy to see you back :0) Happy new year from silent beluga! Congratulations and thank you for all your wonderful photos. Hope you'll be carrying on. Congratulations on finishing your project! Well done, and quite an accomplishment. A beautiful shot of a beautiful beast. Just lovely. Happy New Year! Congratulations on completing your project, I still have months to go! I have so enjoyed your shots and following you and I certainly hope that you will continue even if it is on a reduced capacity. You are a truly talented photographer and an inspiration! Woohoo, huge congratulations on making it across the finishing line, it was touch and go there for a while. What a journey we set out on and what a wonderful friend you have become. I do hope you continue in whatever capacity suits you best, I think I will be starting up around the 14th so I am going to sit back and enjoy some time off till then. We have just walked through the door and I have a mother of a hangover, so I'm going to go and snuggle in bed. Well done and Happy New Year my friend. P.s fav of course. Happy new year and congratulations! Great pic to finish with! Congratulations for completing year one ..... fabulous shot to finish on. Congratulations, I hope you will continue. Happy new year! Congratulations Lisa. Fantastic shot to end on. Many congratulations on reaching the end Lisa! I have so enjoyed following you this year and your beautiful photos have been a real inspiration. I think your name has now become synonymous with zebra stripes and I can't look at a photo of one without thinking of you! Such a great shot to complete your project. I'm really looking forward to seeing what you come up with in year two. Happy New Year. Beautiful ! Congrats! Happy New Year! This is gorgeous! Put it on canvas and hang it on your wall! Congratulations Lisa!! I can't tell you enough how much I love your photos. You are immensely talented and inspiring. This is a great final image in your album. Happy New Year! Wishing you all the best for 2014! Congratulations on finishing your first year!I am so inspired by your work and look forward to 2014! Congratulations! I have enjoyed your work, your project is something to be proud of. Great shot! I just started this project for the first time this year! I hope you will continue! Congratulations, Lisa! It's been great seeing your photos! Nooo! You've stopped. I was away in the NY and am slowly realising that people are missing :0( fab achievement though and maybe if you come over to see @lucypics I'll gatecrash. Big kiss to Rennes. Congratulations Lisa, you have produced some amazing photos over the year and it has been great to follow you. Unfortunately I too should have finished on this day but alas I went astray and awol for a bit so my journey continues for a few more weeks. Are you going to carry on at all? Sorry to hear you are going! You will miss all these marvellous 365 friends! @deeganp Thank you so much Pea - that's very kind! Hope you are ok.
Hope you are doing well Lisa? When you coming back? Sorry,i didn't have the chance to browse ur Fascinating album before...now,i finally did(not done yet,'tho)--Great collections u got there, enjoyed viewing 'em:). Love, love, love this! Fav! Lisa...you gonna start up again? I miss you and your wonderful work!! Hope you are doing well Lisa. Lovely to see you drop in from time to time. I always hope there will be a new shot of yours when I nip over here. @rennes Yeah, really enjoying being a once a weeker Lisa. Absolutely no idea how I did it every day for a year. I sometimes find myself panicking on Sunday as I haven't got my shot for the Monday and yet I've had a week to get my act together and think about it. Glad to hear life is good your end. It's never too late to give a fav! This is very striking and I just now saw it. Thanks for the fav on my Beer Garden. Thanks sonmuch for your lovely comment today. I miss your work on here and I couldn't find your feather highway with the teeny car last I looked. Funny how a shot sticks with you. Hope you are well! Congratulations! What a wonderful year! Thanks for dropping by, Lisa! I am in and out myself. Can't keep away entirely... I hope you are doing well! Miss you here!! The fav you shared on my Mantis Mug Shot (thank you very much) has brought your wonderful photo collection to my attention. What amazing picture you captured in your year of 365. Congrats on completing that. I rather wish time would've allowed you to continue with a second year — I would've enjoyed viewing your daily contributions. @rennes Thank you for your compliments and best wishes. So miss your work. I played a zebra today:). Happy weekend! Thanks for popping by, Lisa! So good to know you are still around a bit. I hope you had a very merry Christmas and wish you a happy, healthy 2015! Geez, I thought I was following you already. Fixed. ..and very nice image, btw. Love the comp! Thank you for the visit...and hope you will continue to pop in now and then...and maybe a few of your lovely shots....please? I'm glad to see you're still popping in now and then. Enjoy your break and come on back. I had to come back and fav this. It really is intriguing the way you've cropped for the eye placement. Thanks for the recent visit. Great capture, love the crop, congratulations and a fav! wow, had to fav this. Love this! As a newbie to 365 I'm totally inspired to see you finish. This is gorgeous! Excellent POV. So glad I saw this - incredible shot! @tande @slash Thank you both for your lovely comments - much appreciated. : )) Happy snapping on 365! I wish that you would come back! @shepherdmanswife Thank you Chantal - that's very kind! : )) I really have no time for a photo a day! I do love following your project though! : )) Happy snapping! I do really love this shot! Fabulous - what a super idea for your pov. Your focus is terrific I'll never look at another zebra the same thanks to you. I just noticed that this shot was from the end of 2013. I am faving it anyway as it is a fantastic shot. Thanks for the visit and comment on my shot. Wonderful capture. Congratulations on reaching your 365 Project goal. Congrats on reaching your 365th!!! And what a great shot it is! FAV! Hi Lisa, always nice to see your zebra popping up here and there! This is a beautiful shot! fav! Thanks for comment. Looks like you're being missed around these parts. Thanks Lisa for your faves! Ever think of posting photos again? Nice to see you on the site! Thanks for the visit/comment. Hope all is well. Thanks so much for the comment shared on my rust and hyacinth picture. That was sweet of you to take the time to drop by. 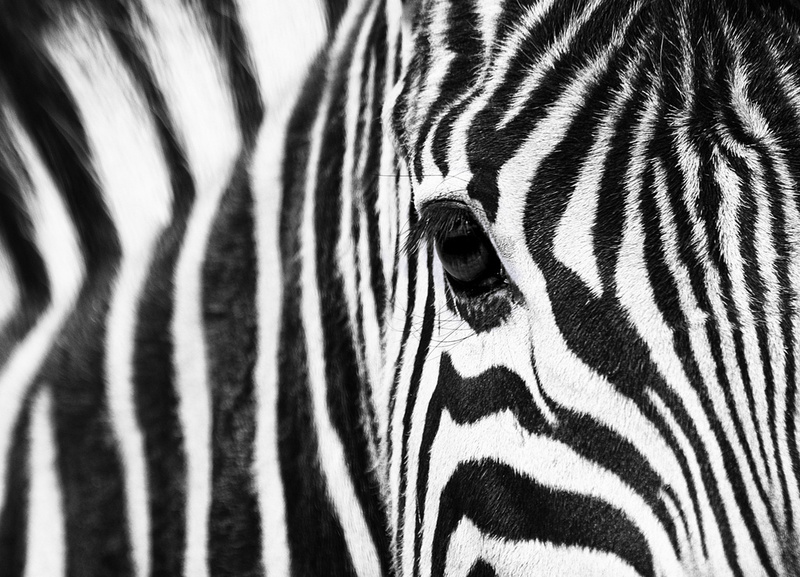 Still love this zebra image. Wonderful pic, hope to see more someday. Thanks for your shared comment on my little sparrow picture the other day. ((((((Hugs))))) to you,Lisa-tnx for stopping by! Thanks Lisa she is lovely but tiny. Weighs in at 1.5k. Hope your visit means we'll be seeing more of your great shots! Congratulations Lisa, staying on? great pic BTW. fav. Congratulations Lisa! An amazing photo to end with FAV! fabulous composition .... I have never seen a picture with 205 comments before! Full Stop? I hope not. You can always try once a week. Congratulations for sure! @rennes A picture of mine becomes extra special when it gets a comment and compliment from you! My brown leaf and water droplet photo thanks you. Very nice shot...and well done for getting to the end! Fantastic photo. When I was (much) younger I did a drawing of a zebra, like this, on "scratch paper"...black paper and you scratch off the black to get white. Gorgeous shot to end your year!! Congratulations! Wow awesome close up................ love how you filled the frame! Congratulations on making it through year #1! You've finished with an awesome shot. Of course, after I typed this I checked the date- well I'd say better late than never, but 3 years is a bit of a gap! I hope your recent comment on my project means you're considering another 365 project and hopefully that's true, because this is a great shot and your other pictures look to be just as excellent.